Our Primary work is site clearance/muckshifts and supply of aggregates – or really anything that can put in the back of an 8 wheeler (including boulders, rock salt, clay). 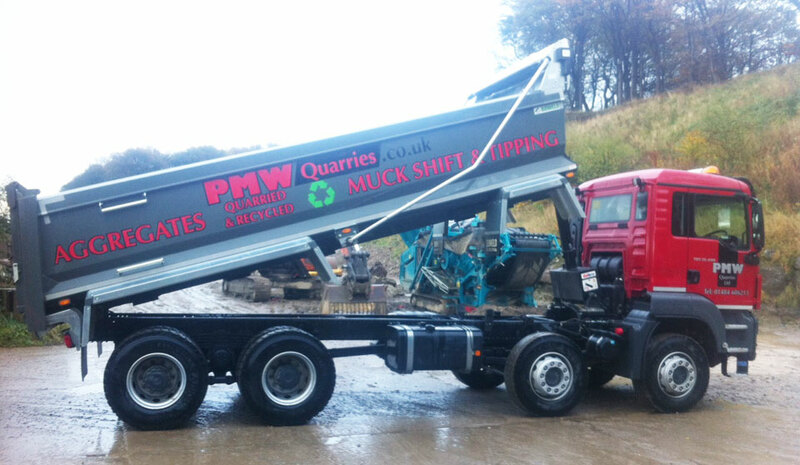 We operate a fleet of MAN 8 wheeler tipper wagons, driven by very experienced drivers who are long term employees. We strive for customer satisfaction, and specialise in awkward jobs involving split loads, part loads and timed deliveries. Usually next day delivery is guaranteed providing the product is available. Our Sales Manager Darren Crossland puts every possible effort into getting the customer their product at the correct time.